Not having painted a landscape since my twenties, when the urge struck recently I did wonder what I was thinking. 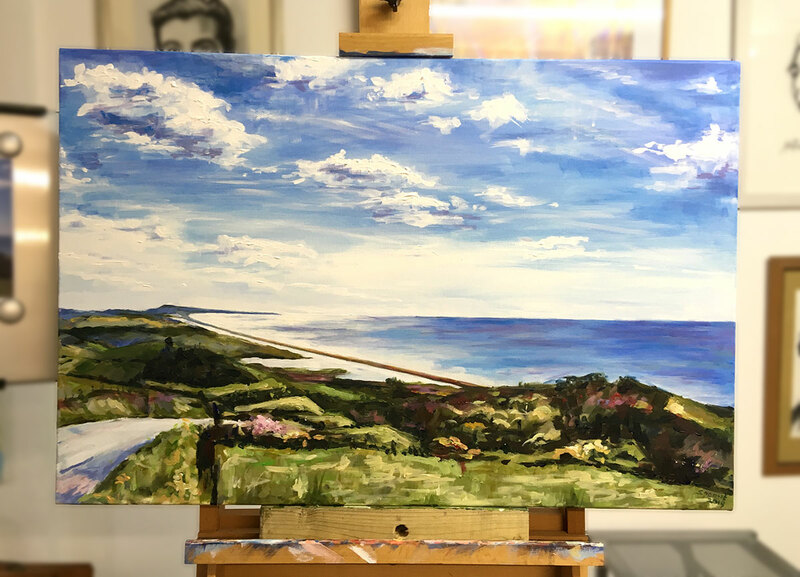 But then, this is such a stunning area, yet while I enjoy our countryside and coastline (of course) I haven't ever made much effort to depict it, as my focus has always been the face. With vistas such as this, however, that's neglect. ... but I've got my next scene lined up already!